Entertaining yourself can be difficult sometimes, but adding the task of entertaining kids brings it to a new level. Everything has to be child-friendly and may get boring to you as the adult. Here to help is a list of five fun, entertaining, family friendly places to visit in the Omaha, Nebraska area! First, we have the Family Fun Center XL which includes an indoor mini golf and rock wall for those that aren’t interested in only playing video games. By visiting their website, you can see what special they are running that day or check out the packages offered. If you plan on spending many hours and think you may get hungry, they offer packages with their buffet included for only one dollar more per person! 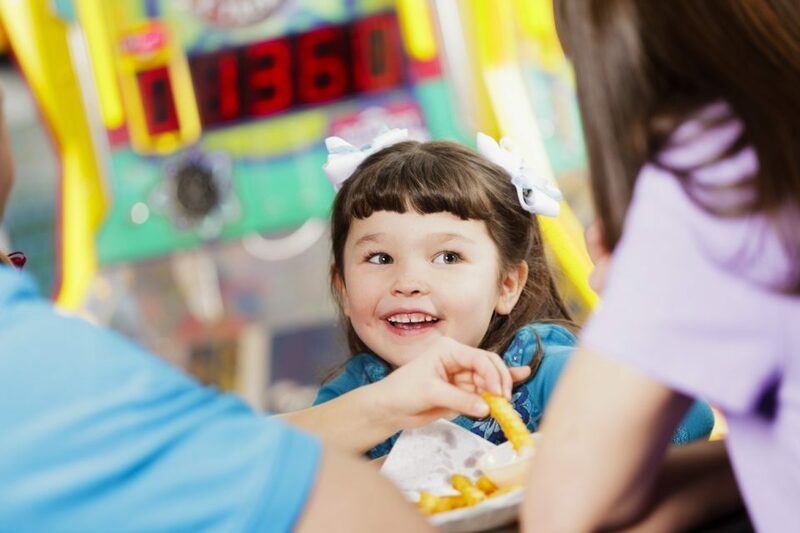 The Amazing Pizza Machine also offers a large 100+ item buffet and many different family attractions for all ages. 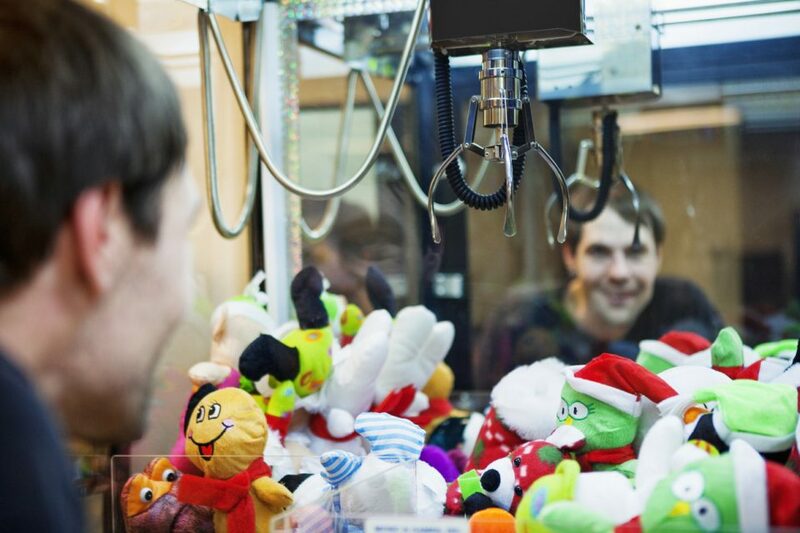 You can try your hand at claw machines, skill-based games that will challenge you, and easier games for younger kids. When you get tired of the games, they also have bumper cars and rides you can go on. If you purchase your play plus buffet package online, you can save yourself some money. Each package includes the buffet and perks can go up depending on which one you get such as added play time or ride time. You can also pick specific things you want if you don’t need everything the packages provide. Don’t forget to check ahead for the daily deal on the website. To appeal to the group that likes classic games and true nerds at heart, Ben’s Game Zone offers old school attractions like Ms. Pac-man, Donkey Kong, and Super Mario Bros. You can win gift certificates to the store while playing the games. The store has a large selection of video games, comics, and collectibles. Check out their website to see what contests they also have going to win gift cards or cash! Defy Gravity, while known for their large jumping zone, also offers other attractions. This is not a place you want to go last minute with your younger child. However, they do offer special toddler times during non-busy times. For older kids, they have glow in the dark dodgeball, a climbing wall, and laser maze. If you are looking for a change from the old treadmill and weights, you can also sign up for a fitness class at Defy Gravity. It is recommended to check the website before visiting for prices, events, and daily deals. Known for more physical activities, Papio Fun Park has go-karts, a jump area, laser tag, and many more activities. Wristband packages can be purchased year round and are a great deal. Discounts and coupons can also be found on their website. If you want a good deal for a large group or party, they also offer packages for that as well. The fun park has a concessions area if you need a snack or drink between activities. When you get tired of running and jumping, you can try some of the arcade games. These are just a few of the fun family friendly venues around Omaha Nebraska. With so many variations of attractions, everyone should find something they would enjoy doing at such a great value. Many offer a different special every day, and some can even turn into an all day fun day since they offer food as well! If you are looking for something for just a few hours, large group, or family fun day this area has it! Come see us at O’Daniel Honda in Omaha, Nebraska for tons of family friendly vehicles. See you soon!